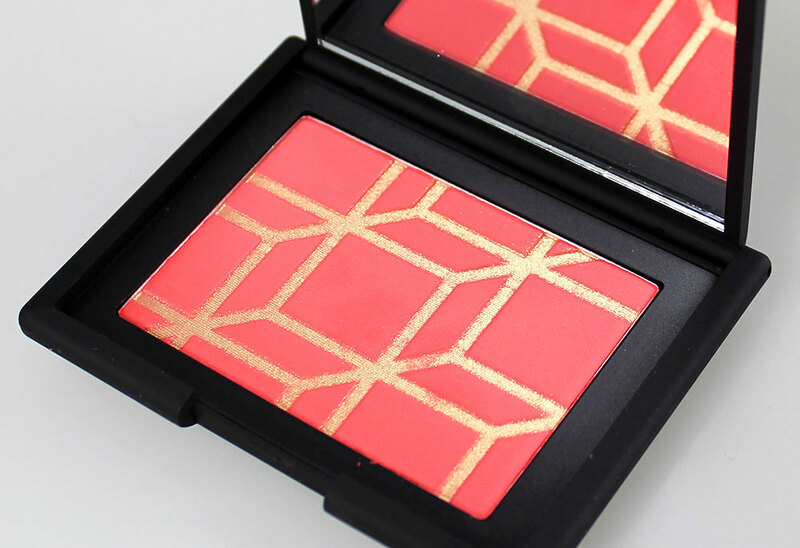 The limited-edition Pierre Hardy for NARS Summer 2013 Color Collection brings us two new High Voltage Blush Palettes in shades that are perfect for the summer and all skintones. 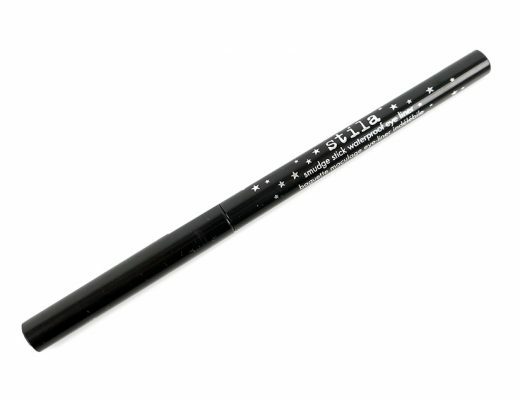 Each palette measures 3 1/2 inches by 2 3/4 inches, which is the same size as NARS’ regular 6 eyeshadow palette. 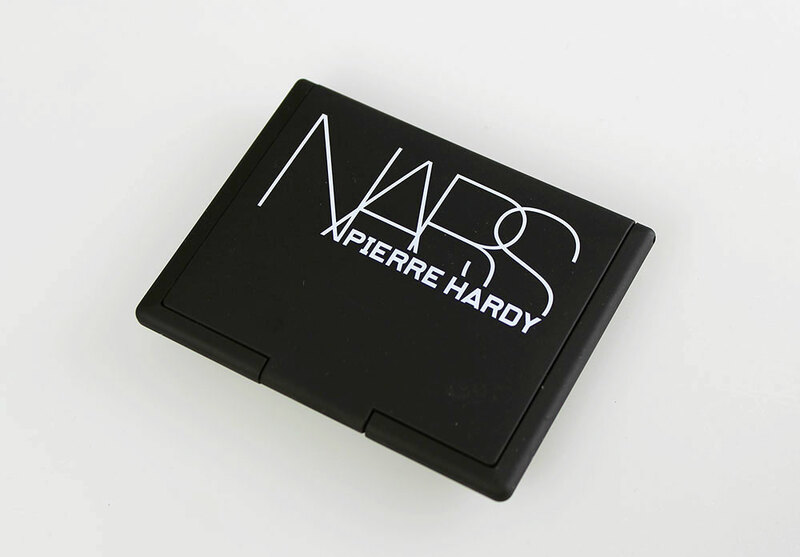 The lid has the words “NARS Pierre Hardy” printed on it. Boys Don’t Cry is a vibrant cool-toned pink grapefruit color with shimmering gold overspray of Pierre’s signature cubic print. 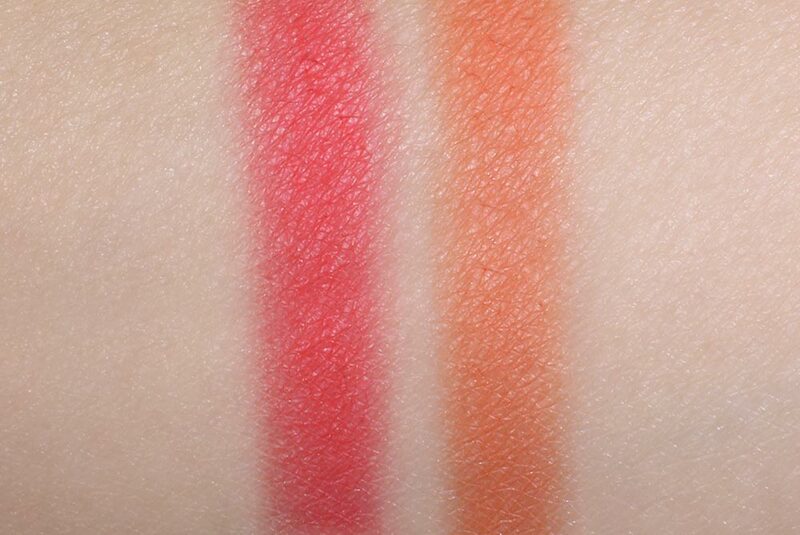 NARS Exhibit A Blush is redder and warmer. 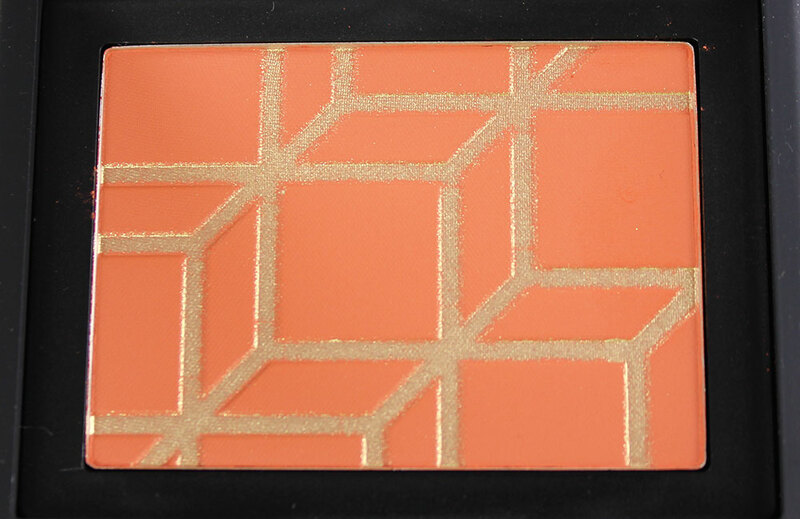 Rotonde is a bright “tiger lily” orange with shimmering gold overspray of Pierre’s signature cubic print. 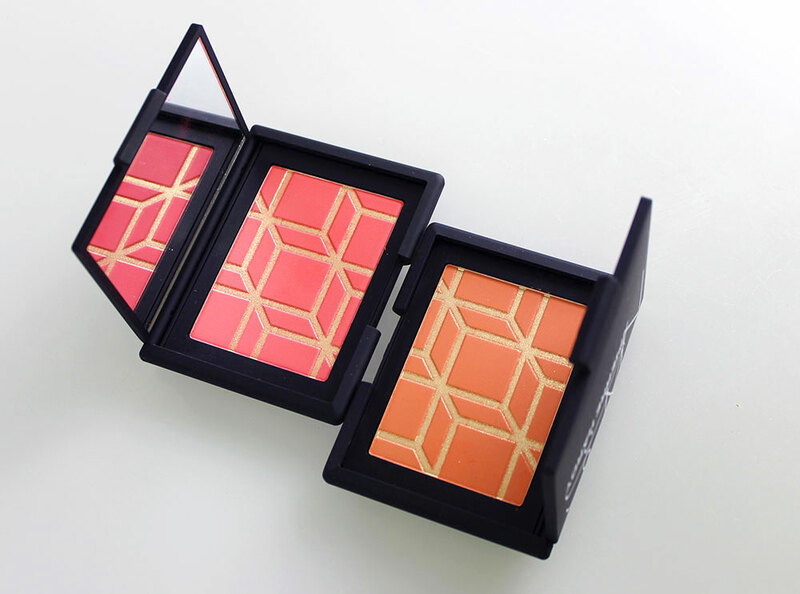 NARS Gina Blush is lighter and softer. 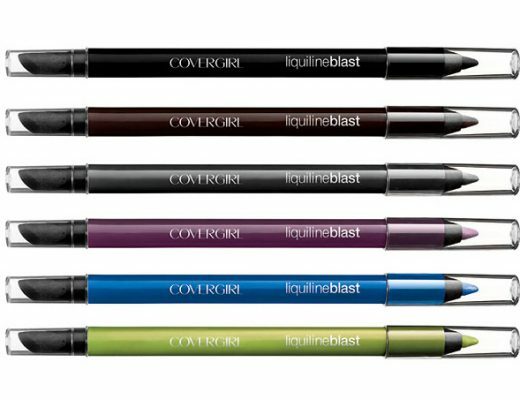 The colors are GORGEOUS and showed up mostly matte with just a tinge of shimmer from the overspray. 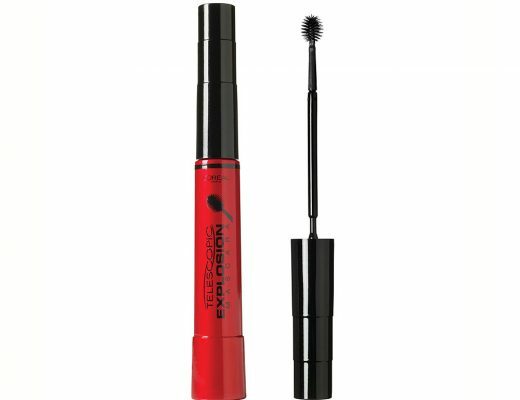 They are super intense and truly high voltage, yet blended out easily without looking harsh. 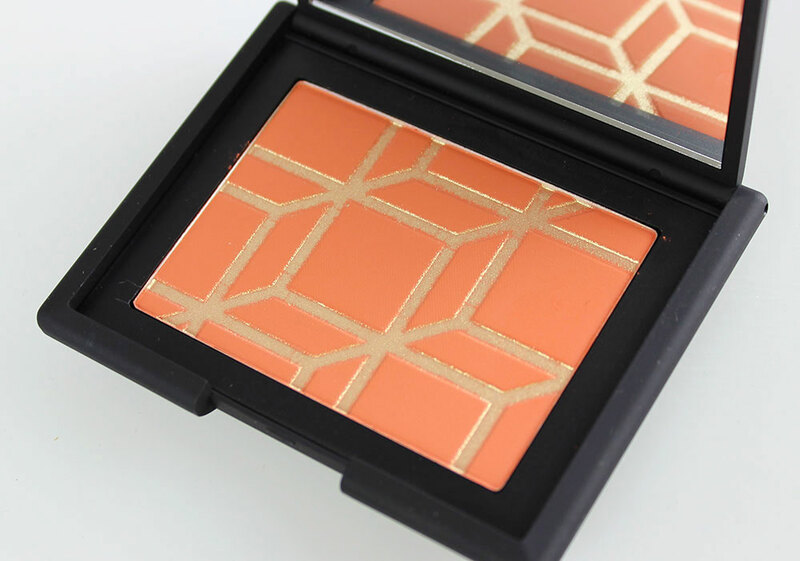 The texture was smooth and silky (which is typical of NARS Blushes) and the teeniest amount of product warmed up my NC30 skin instantly with a gorgeous, healthy glow. The color also managed to stay on for a good 8-9 hours before I started to notice fading. 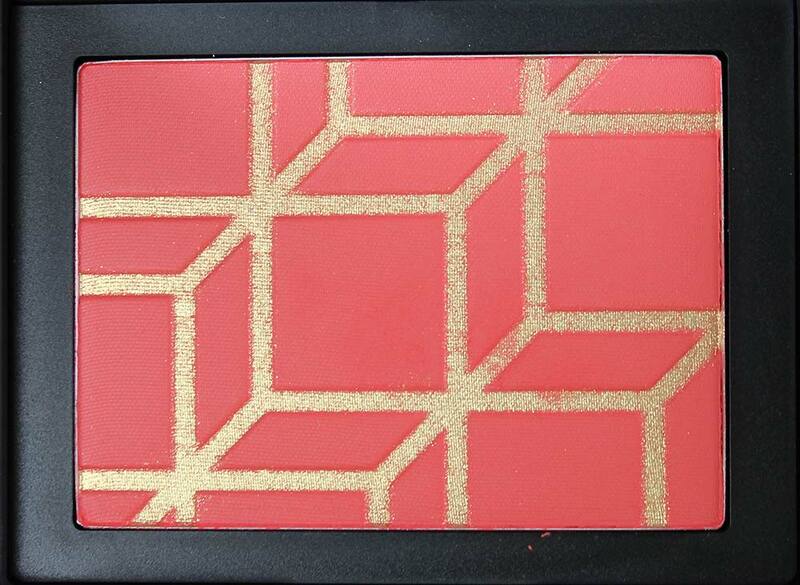 Pierre Hardy for NARS High Voltage Blush Palette is available at narscosmetics.com for $41.